The Turners have lived on Yarrow Street for over fifty years. Their house has seen thirteen children grown and gone-and some returned; it has seen the arrival of grandchildren, the fall of Detroit’s East Side, the loss of a father. Despite abandoned lots, an embattled city, and the inevitable shift outward to the suburbs, the house still stands. But now, as ailing matriarch Viola finds herself forced to leave her home and move in with her eldest son, the family discovers that the house is worth just a tenth of its mortgage. The Turner children are called home to decide its fate and to reckon with how each of their pasts haunt-and shape-their family’s future. 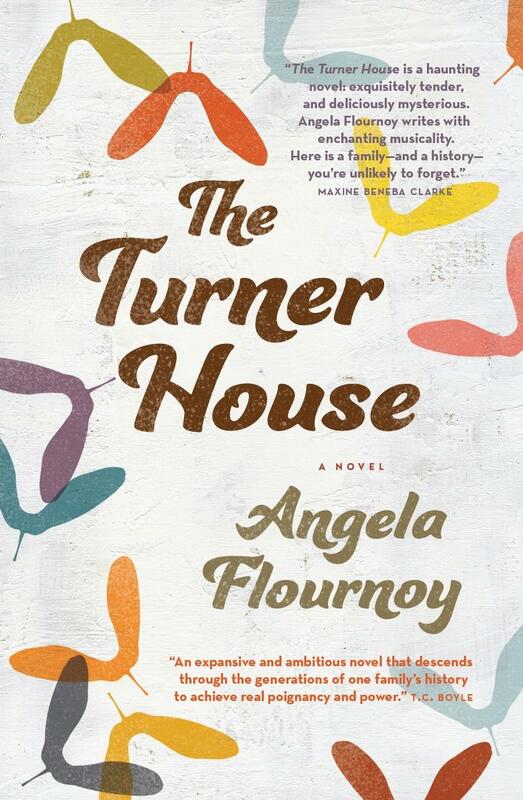 The Turner House brings us a colourful, complicated brood full of love and pride, sacrifice and unlikely inheritances. It’s a striking examination of the price we pay for our dreams and futures, and the ways in which our families bring us home. From the opening line of The Turner House, Flournoy had me hooked. Something odd, mysterious and mythical happens one night in 1958 to Cha-Cha, the eldest of the thirteen Turner children: a haint grabs hold of him and tries to pull him through the upstairs window. His siblings pull him back inside and the ghostlike being disappears. Francis Turner tells his children, ‘There ain’t no haints in Detroit,’ and for many of the Turner progeny that’s sufficient for them to forget about it and go about their lives, for others it remains a spectre that returns to haunt them. For Cha-Cha, the haint never went away. The haint as a literary device works beautifully in a story that focuses mostly on the very real things that haunt a family. Death, ageing, guilt, addiction, love, betrayal and rivalry spill from the pages of this epic story that covers fifty years in the life of one family in an old house that still stands in Yarrow Street, on Detroit’s East Side, while the city crumbles around them. With their father dead, their mother dying, and the house now worth only a tenth of its mortgage, the family is called back home to decide its fate and to reckon with the past. Angela Flournoy, a graduate of the much-lauded Iowa Writers’ Workshop, is an assured writer with an inspired, intimate and engaging voice. This is a debut that deserves to find its way into every literary prize worth mentioning. Deborah Crabtree is a bookseller at Readings Carlton.